The 2015 National Adventure Awards - Vote for Me! Home » General » The 2015 National Adventure Awards – vote for me! 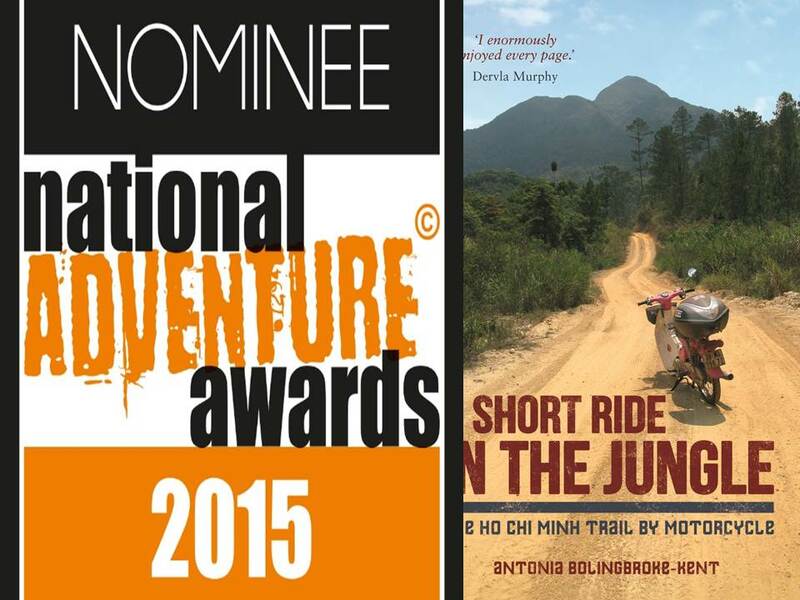 Well, isn’t this exciting; I’ve been nominated for the 2015 National Adventure Awards in the ‘charity’ category for my collaboration with Mines Advisory Group (MAG) on my Ho Chi Minh Trail expedition. The winners of each category will be decided through Public Vote so, yes, you guessed it, I need YOUR vote. All you need to do is click on this here link and press the ‘Ants Bolingbroke-Kent’ button (yes, I know, it’s near the bottom of the list) and hey presto, your vital vote is cast. It literally takes ten nanoseconds. Voting closes on 1 March and then a whisky soaked awards ceremony takes place in Scotland on 18 March. Sadly ( well actually, not that sadly) I shall be basking in South East Asian sunshine at that point, so shall be unable to attend. If you are new to this site and wondering what I’m harping on about, have a read here about my solo journey down the remains of the legendary Ho Chi Minh Trail in 2013. During the trip I raised funds and awareness for theexcellent MAG, who work tirelessly to clear the staggering amounts of unexploded ordnance that still litter Indochina in the wake of the Vietnam War: 40 years after the last bombs fell, it’s quite sickening to see the ongoing legacy ofthat conflict. And if you’d like to read my book about the journey, A Short Ride in the Jungle, click here. Or contact me directly for a signed copy. Previous PostFancy motorcycling the Ho Chi Minh Trail? Here’s how….